Experience the world’s most extraordinary safari destination, with the luxury of your own guide, in a new modern off-road safari vehicle. We operate in safe, stable South Africa…the miracle of the continent and birthplace of the incomparable Nelson Mandela. 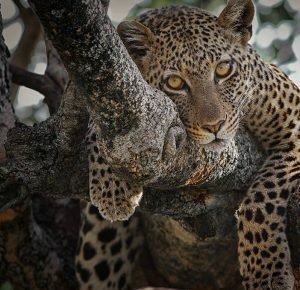 Come live the greatest wildlife viewing on the planet in The Sabi Sands Reserve – Kruger National Park. That’s the Kanyezi Safari Advantage. …and unveils the picturesque drama of trumpeting elephants, roaring lions, awe-inspiring rhinos, sleek leopards and the mighty buffalo strolling across the savannah, all before you’ve had a chance to finish your breakfast. Kanyezi Safari Group is owner operated by a father and son team from the USA. We were founded over 3 decades ago to guide our clients on the finest South Africa Luxury Safaris and Tours. Not only are we the only North American owned and operated luxury safari in South Africa, we also have the longest perfect safety record anywhere on the African continent – over 31 years.